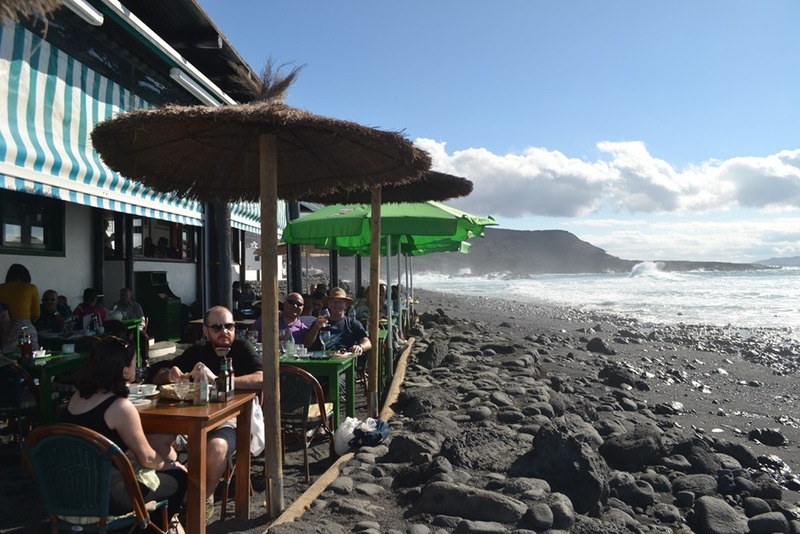 Bogavante in El Golfo opens directly onto the ocean and the outside terrace is actually on the beach. We were lucky to find a table there – we hadn’t booked, but we did arrive early at about 1PM. As you walk into the restaurant, you go past a large tank with live lobsters in it, and three of us made an instant decision to go for the speciality of the house. Bogavante is the Spanish word for lobster, and three of our party had already decided they were going to enjoy some for their lunch. For starters, we ordered various mixed plates – Lapas, local cheese and smoked salmon tostadas. The lapas (limpets in English) were the best I’ve ever tasted – perfectly grilled in butter and garlic and sweet and tender. The salmon came on toast and was also delicious. 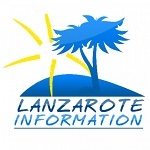 Only the cheese was a little disappointing – it was typical of Lanzarote, and very fresh, but for me a little bland. For her main course, Jules ordered the platter of fried fish, which consisted of three different types of fish cooked very simply – skins slashed and then deep fried. This only works well with the freshest fish, and she described the dish as fragrant and light and just how she likes it. As mentioned before, the rest of us opted for the fresh lobster – they were grilled and split in half, drizzled with butter and herbs. Once again, they were beautifully cooked, and luxuriously rich tasting. The main courses were served with Canarian potatoes and mojo sauce. We drank the dry Malvasia Seco from Bodega Guiguan in TInajo, and it complemented the fish to perfection. For dessert the ladies went for home made creamed rice and fig mousse respectively, while the fellas (who weren’t driving!) managed a coffee with a Carlos Primero Brandy each! The price was skewed by three of us ordering lobster, so our total bill came to €70 per person, but if you don’t go for the lobster, you can expect to pay about half that – good value for money, as the fish is as fresh as you’ll get anywhere, the service at Boganvante is excellent, and the view and setting is hard to beat.